Arthur Russell SANDERS was born on 3 Sep 1913 in , Lauderdale, Tennessee. He died on 6 Jun 1981 in Paducah, McCracken, Kentucky. Arthur married Gladys in 1967. Gladys. Gladys married Arthur Russell SANDERS in 1967. Arthur Russell SANDERS was born on 3 Sep 1913 in , Lauderdale, Tennessee. He died on 6 Jun 1981 in Paducah, McCracken, Kentucky. Arthur married Mary in 1933 in , Fayette. Mary. Mary married Arthur Russell SANDERS in 1933 in , Fayette. Ernest Anton WALLY [Parents] was born on 24 Aug 1943 in Vienna, Austria. He died on 24 May 2010 in Honolulu, Honolulu, Hawaii. Ernest married Patricia Bryan SANDERS on 26 Aug 1966 in Atlanta, Fulton, Georgia. The marriage ended in divorce. Patricia Bryan SANDERS [Parents] was born on 9 Jul 1938 in Atlanta, Fulton, Georgia. 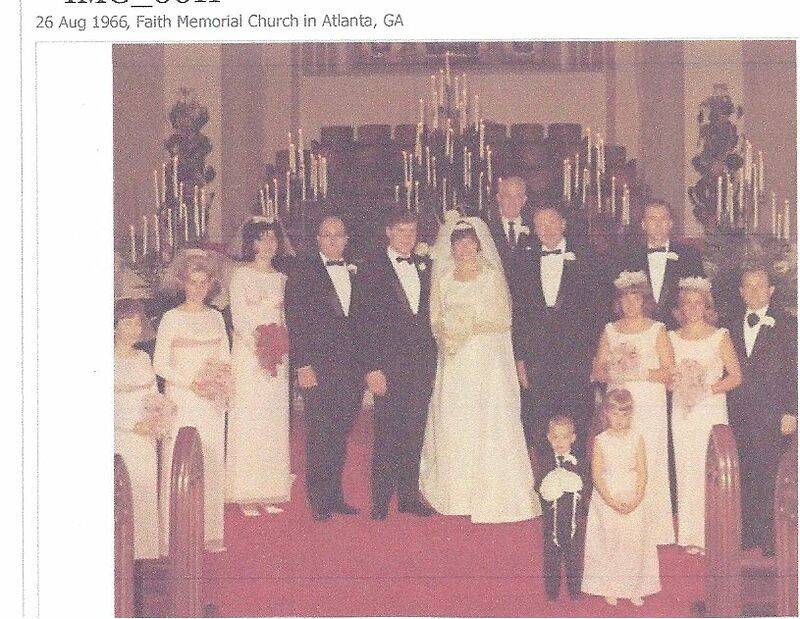 Patricia married Ernest Anton WALLY on 26 Aug 1966 in Atlanta, Fulton, Georgia. The marriage ended in divorce. F i Margarete Maria "Greta" WALLY was born on 24 Sep 1971. F ii Andrea Elizabeth"Liesel" WALLY was born on 28 Jun 1974. Floyd Rod GUARNETT was born on 12 Jan 1972 in Alameda, California. Floyd married Margarete Maria "Greta" WALLY in 2007 in Decatur, De Kalb, Georgia. Margarete Maria "Greta" WALLY [Parents] was born on 24 Sep 1971 in Atlanta, Fulton, Georgia. Margarete married Floyd Rod GUARNETT in 2007 in Decatur, De Kalb, Georgia. Callie Simone GUARNETT was born on 11 Apr 2008 in Atlanta, Fulton, Georgia. Floyd Rod GUARNETT was born on 12 Jan 1972 in Alameda, California. Floyd married Angie in 1997. Angie. Angie married Floyd Rod GUARNETT in 1997. Payton GUARNETT was born in Nov 1998. Andrew Marion DAVIS was born in 1971 in Atlanta, Fulton, Georgia. Andrew married Margarete Maria "Greta" WALLY in 1997 in Cummings, Forsyth, Geogia. Margarete Maria "Greta" WALLY [Parents] was born on 24 Sep 1971 in Atlanta, Fulton, Georgia. Margarete married Andrew Marion DAVIS in 1997 in Cummings, Forsyth, Geogia. Kevin WILLIAMS was born in Decatur, De Kalb, Georgia. Kevin married Margarete Maria "Greta" WALLY in 2005 in , Gwinnett, Georgia. The marriage ended in divorce. Margarete Maria "Greta" WALLY [Parents] was born on 24 Sep 1971 in Atlanta, Fulton, Georgia. Margarete married Kevin WILLIAMS in 2005 in , Gwinnett, Georgia. The marriage ended in divorce. Austin Everett WILLIAMS was born on 18 Jan 1999 in Atlanta, Fulton, Georgia. He died on 20 Jan 1999 in Atlanta, Fulton, Georgia. Bryan Taylor WILLIAMS was born on 26 Jul 2000 in Atlanta, Fulton, Georgia. Karl WALLY [Parents] was born on 2 Oct 1900 in Burgschleinitz, , Austria. He died on 2 Oct 1974 in Vienna 14 Huetteldorfer Strrasse 188, Austria. Karl married Erika Ernestine SCHUBERT on 10 Jul 1943 in Registrar, Hadersdorf Weidlingau, Vienna, Austria. Erika Ernestine SCHUBERT [Parents] was born on 16 Feb 1917 in Graz, Austria. She died on 26 Sep 1959 in General Hospital, Vienna, Austria. Erika married Karl WALLY on 10 Jul 1943 in Registrar, Hadersdorf Weidlingau, Vienna, Austria. M i Ernest Anton WALLY was born on 24 Aug 1943. He died on 24 May 2010. Karl WALLY was born about 1944 in Vienna, Austria. Margarete Maria WALLY was born on 13 Oct 1946. She died on 3 Nov 1967 in Royal Prince Alfred Hospital, Sydney, Australia. Alois WALLY "Sr" [Parents] was born on 28 Oct 1857 in Burgschleinitz, Schafflerhof, Niederosterreich, Austria. He died on 20 Apr 1935 in Burgschleinitz, Schafflerhof, Niederosterreich, Austria. Alois married Maria ECKER. Maria ECKER [Parents] was born on 31 Dec 1862 in Burgschleinitz, Schafflerhof, Niederosterreich, Austria. She died on 1 Feb 1941 in In Her Home, Burgschleinitz, Schafflerhof, Niederosterreich, Austria. Maria married Alois WALLY "Sr". Theresa WALLY was born on 27 Feb 1889. She died on 2 Dec 1945. Johann WALLY was born on 2 Dec 1893. He died in 1972 in Vienna, Austria. M ix Karl WALLY was born on 2 Oct 1900. He died on 2 Oct 1974. Michael J. WALLY was born about 1891 in , , New York. Michael married Barbara FREIDHOFER. Barbara FREIDHOFER. Barbara married Michael J. WALLY. M i Alois WALLY "Sr" was born on 28 Oct 1857. He died on 20 Apr 1935.